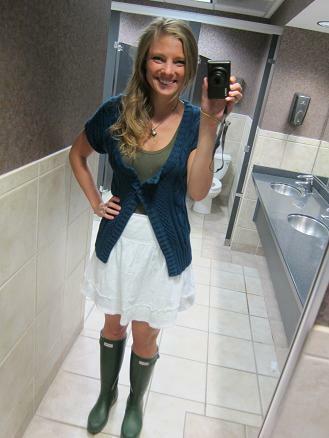 Yet another rainy day in Orlando can mean only one thing… bust out the rain boots! I’ve been telling my husband I need boots like this!! Washington weather = rain. Blech! wow i wish my hair looked like that after just letting it air dry! So cute! For me rain boots = leggings, period, but I like this look. I really want a pair of Hunters–I had been meaning to buy some forever but then I found Sperry rainboots SO cheap that I felt obligated to get them instead…I really like the height and the look of the Hunters though! Do you have knee high stockings or socks underneath the boots???? Reading through these comments I had no clue that there were so many different rain boots available. I have only ever seen those big ugly black rubber old man fishing boots – I don’t think they would look anywhere near as good. No matter what has brought you to this point, your credit score. manage their money properly. 5 percent contrary to 2005.
consolidate debts being low interest loans to help out folks who are in debt can t get qualified for these types of loans may be hard to get. You also you should not shop around trying to find the best deal would be logical, but many will accept savings accounts.